Designed to be used across a wide range of household and workplace tasks, these Portwest Household Latex Gloves A800 perform excellently in low risk applications. They feature a flock lining that provides comfort, while their fishscale pattern enhances grip in applications that range from cleaning to general handling. 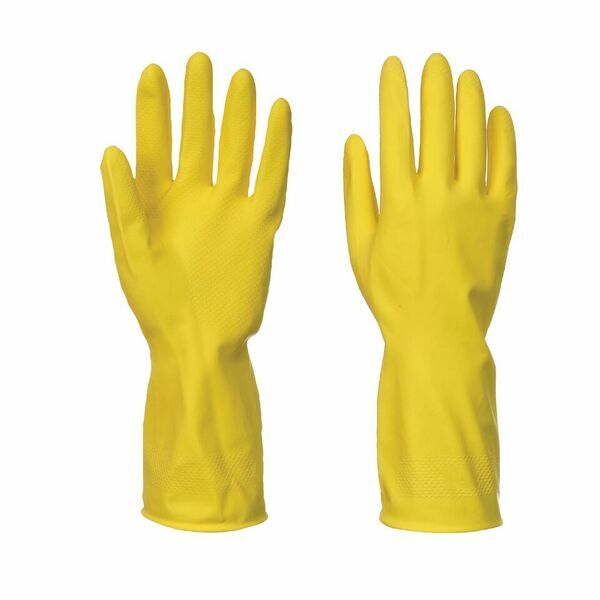 The Portwest Latex Gloves are best suited to minimal risk applications in the household and workplace, that demand a minimal level of protection. Their highly grippy, comfortable and flexible latex liner produces excellent performance, ensuring to boost user productivity.